Bob: The Scriptures offer a specific command for wives. Trent Griffith says a lot of women simply read right past it. —and even as importantly, what is it not saying? We’ll hear today from Trent and Andrea Griffith. Stay tuned. And welcome to FamilyLife Today. Thanks for joining us. This is culturally-risky territory we’re wandering off into today; don’t you think? Dennis: I want to tell you something—I think if wives grasp the importance and the power of communicating respect to their husbands, they would be amazed at how they might see their husband be transformed into more of what they wish he would become. Bob: —and more of who God created them to be; right? “Wives, respect your husbands.” That means to hold them in esteem, and value them, and communicate that value with their words, their attitudes, their actions. And we’re going to hear from a couple of great young communicators today, Bob, who are on our Weekend to Remember® marriage getaway speaker team—Trent and Andrea Griffith. Trent is the pastor of Harvest Bible Chapel in Granger, Indiana—I’ve not been there; but I’ve been close, Bob. They’re a great couple—they’re fun/lively—and they have a lot to say on this subject that, I think, our audience needs to hear. Bob: They tackle the subject of how a wife can show respect to her husband. I should mention—Trent also did a message on how a husband should love his wife / it’s a great message as well—but we’re going to hear from Trent and Andrea today as they unpack this idea of how a wife can honor and respect her husband. I remember—a couple of weeks ago, we had a plant up here. We kind of hypothetically talked about that husband that says, “You know, my marriage is dead.” Well, the question is: “Did you water it? Did you feed it?—because it needs some things from you.” What did we say the number one need of a wife was?—what was it, guys? Trent: Love. So, you’ve got to constantly be loving your wife. Did you know that you can read the Bible from cover to cover—you will never find a command that says, “Wives, love your husbands,”?—it’s not there. Now, it’s implied for sure. Titus, Chapter 2, says that older women are to teach the younger women to be lovers of their husbands. I believe it’s because the number-one need of your husband is not love. What you will find over and over in Scripture is this command: “Wives, respect your husbands.” Why is that? It’s because the number-one need of your husband is respect; and when he senses you respect him, he will understand he’s loved. If you asked the wives in this room—the wives that just stood: “Do you love your husband?” most of them would say: “Yes; I love!—the knucklehead.” Wives have a natural ability to love a needy person—God built that into you; okay? And you say, “I would respect him if he was respectable.” Listen, if he was respectable, you wouldn’t need the command. In the same way that, if you were always loveable, your husband wouldn’t need the command to love you. [Laughter] We get the commands because there are times when wives are not loveable and husbands are not respectable—get it? That’s why God puts the command there. So, we’re going to study how to do that today; okay? Now, we don’t mind that kind of compliment, ladies—we could use more of that, probably—but that’s not what we’re saying. Do you remember a few weeks ago when we talked about that message, “How to be a Winner Every Day”? One of the things that winners do is—they fill their relationships with submission. That means that we come alongside each other / we come up under one another—we support; we cheer on; we say: “I want to be on the team. I don’t even have to call the plays. I just want to—I believe in you, and I want to go the same direction that you’re going in. I want to help you get there.” We fill our relationships with submission—that’s verse 21. Then, when we get to verse 22, it is specifically targeting wives. So, he says, “Wives, submit to your own husbands as to the Lord.” Now, ladies, aren’t you grateful for that little three-letter word there—own husbands? Isn’t it great you don’t have to submit to everybody’s husband? There’s just one, and God’s command is not that all women submit to all men. God’s command is that, if you’re a wife, you have one husband and that is the husband you are to submit to. Now, as we get into this, there—it’s important that we understand what submission is not and what submission is. First of all, understand this: “Submission is not a statement of value.” Men and women have equal value before the Lord. God’s statement of submission is a statement of function and role, not of value; okay? God has a different function / a different use for a husband than He has for a wife. When we both play our role well, we both win. So, it’s a statement of function, not of value. Secondly, submission is not just a woman’s issue. Everybody has to submit to authority. Your husband submits to the authority of God, and God is his Head; and he has to submit to an employer. The reason why this is hard—is not because you are a woman—it’s because we don’t like to be told what to do. We don’t like to bring ourselves up under somebody else’s leadership. So, it’s hard for all of us. Also, understand this: “Submission is not enabling sinful activity in your husband.” It’s not blind obedience to sinful activity. We have to obey God rather than man; and when one authority conflicts with another authority, which one do you obey? The higher authority; right? You have a higher authority than your husband. So, ladies, if you’re in a relationship, where your husband is abusive or if he’s asking you to do something that is clearly sin, you don’t submit to that. So, the question is: “What is submission?” Let’s give it some meaning here. It simply means to give up control / it means to yield. It means to use all of your creativity, and your intelligence, and your intuition to come up under and to support the direction that your husband is leading. So, men, ladies have a hard job. Now, we talked about how they’ve got a hard job, and we can make their job easier by loving and leading the way God’s called us to lead. Ladies, you have a hard job. We admit: “This is hard.” Yet, by doing this, you can make your husband’s job easier—to love and to lead—when he senses that he has your respect. I had my own agenda, my own plan, my own way that I was going. Finally, one night, he just stopped—he took me by the shoulders and he said, “Andrea, I am trying to lead you.” All of a sudden, I saw it. I thought: “Why do I always have to have a better idea?” or “I can’t get off my own agenda”? So, I was like: “Okay; you know what? Those dinner dishes can wait. Let’s go take a walk.” We just started taking a walk after dinner. You know what?—I love being outside. I really needed to be with my husband, because I was only being with kids all the time. So, following his leadership was of great benefit to me. When I came back to do the dinner dishes, it was a lot more fun; because I had connected with my husband. I’ve found that to be true so many times in submission. So many times, we think submission is a statement of value. It’s not a statement of value—it’s a statement of role / of function as we come alongside and help our husbands to be all that they were created to be as they lead our families. It means to esteem, to regard, to value, to look up to, to admire, to heed, to notice, to consider, to recognize, to defer to, to honor, to be kind to, to spare, to take into account, to uphold, to appreciate. All of those aspects of respect are there. Now, ladies, please understand how God has wired your husband. Almost every husband—almost every wife would appreciate their husband taking leadership; but you fail to understand what fuels his leadership. Listen, respect is rocket fuel to leadership. If a husband doesn’t sense that he has respect from his wife, ladies, your husband will lose motivation to lead; and he will fade into the background. If you start picking up all of the leadership responsibility, your husband will be glad to let you have it; but if you will respect him, encourage him, and inspire him, and motivate him, he will pick up that God-given role and love and lead the way God has called him to. Andrea: You may be like me. I found that I had a respect for Trent—like I had this feeling of respect—but there was this gap in me feeling it and him hearing it from me. There was this huge communication gap. I didn’t know how to tell him, and he wasn’t hearing the ways I was trying to tell him. So, one day, I just asked him—I just said, “How do you hear respect from me?” I was so surprised at his answer. It had nothing to do with the way I was trying to communicate it. Ladies, that would be something I would encourage you to do—just ask your husband, “How do you hear respect from me?” When they tell you, just listen. Don’t be defensive. 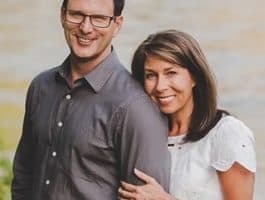 Bob: Well, again, we’ve been listening to the first part of a message from our friends, Trent and Andrea Griffith, talking about how a wife can demonstrate respect for her husband. Dennis: I feed off of Barbara’s respect for me. Bob: Yes; [Trent] called it, “Rocket fuel.” It really is; isn’t it? Dennis: It is—it feeds the soul. Every man needs a woman in his life, besides his mom, who would believe in him, and expect the best of him, and cheer him on. I don’t think it means that a woman is less of a person for respecting her husband. It’s really, in my opinion, a very noble assignment and one that takes, I think, some skill and prayer and asking God to show you to catch your husband doing things right, where you can show him respect. Bob: This is one of the subjects that gets addressed at our Weekend to Remember marriage getaways. It happens on Sunday morning—while the men are hearing straight-talk about their assignment, as husbands and as fathers—the wives get an extended period of time where it’s just the women. There is conversation about what it is we’re to do and to be, as wives and as moms. Folks, who have attended the getaway, tell us, Dennis, Sunday morning is really a highlight of the weekend for them. —are really important to, I think, equip wives to be who they are supposed to be so the men will be able to lead, and serve well, and love well in their assignment. Bob: I’ve talked to a lot of men—and a lot of wives, for that matter—who have said the time together at a Weekend to Remember marriage getaway was transformative in our marriage. In fact, you and I were talking to a couple, this week, who said they were at a low point—they were separated. God used a Weekend to Remember as a turning point for them; and, now, more than 20 years later, they are thriving. Dennis: They are, and they are impacting other marriages. You left out a detail or two, Bob. You spoke at the conference where their marriage was saved, 20 years ago. Now, here they are—business owners, impacting other people’s lives. They just left to go on a mission trip to Africa. —when you two aren’t clicking—likewise, I think we’re rendered far less useful in the Kingdom’s work when we’re not clicking with our spouse. Bob: Yes; the reality is that most of the people who are coming to a Weekend to Remember are in a pretty good place in their marriage. 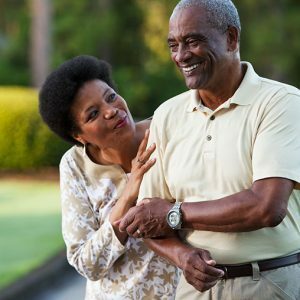 They would score their marriage above 70 percent; but those folks still need an adjustment / a tune-up, because it’s easy to slip out of tune in your marriage. That’s what we try to provide at the Weekend to Remember—an opportunity for you to reexamine, recalibrate, get your minds set in the right direction, and then begin to live that out in your marriage. Again, I’d just encourage our listeners to find out more about the Weekend to Remember when you go to FamilyLifeToday.com; or call if you have any questions: 1-800-FL-TODAY. We’d love to have you join us at an upcoming Weekend to Remember marriage getaway. They really are a great weekend away for a husband and a wife. That’s what FamilyLife Today is all about—we want to provide practical biblical help and hope for marriages and families. We want to see marriages and families aligned with God’s purposes for His creation. And we appreciate those of you who share that vision with us—those of you who have helped us expand and reach more people with God’s blueprints for marriage and family. Thanks to those of you, especially, who are monthly Legacy Partners in support of this ministry. Your financial support is what makes FamilyLife Today possible, and we’re grateful to be partnered with you in this endeavor. If you’ve never made a donation—a longtime listener but you’ve never donated—today would be a good day to go online and make a donation. It’s easy to do. Our website, again, is FamilyLifeToday.com. You can call to donate if that’s easier: 1-800-FL-TODAY; or if you’d like to mail your donation, our mailing address is FamilyLife Today at PO Box 7111, Little Rock, AR; and our zip code is 72223. Now, tomorrow, we’re going to hear Part Two of Trent and Andrea Griffith’s message on wives respecting husbands. We’ll hear about the mindset shift that Andrea had to make in order to be in the right place in her marriage. I hope you can tune in for that.